Christmas single by leading folk-rock musician to raise funds for East Midlands children's hospice. Acclaimed electric fiddle-player and folk-rock musician, Joe O'Donnell is hoping to spread some Christmas cheer to seriously ill children and their families through proceeds from his new Christmas single, Noel Nouvelet. Funds raised from all downloads of the single between now and midnight on Boxing Day will be used to support pioneering music therapy provided by the East Midlands-based Rainbows Hospice for life-limited children and young people. The Irish-born musician, now based in Coventry, has been a leading light in Irish and British folk rock music since the 1970s when he toured and recorded with such artists as Gary Moore, the late Phil Lynott and the late Rory Gallagher before becoming a member of cult British rock band East Of Eden. 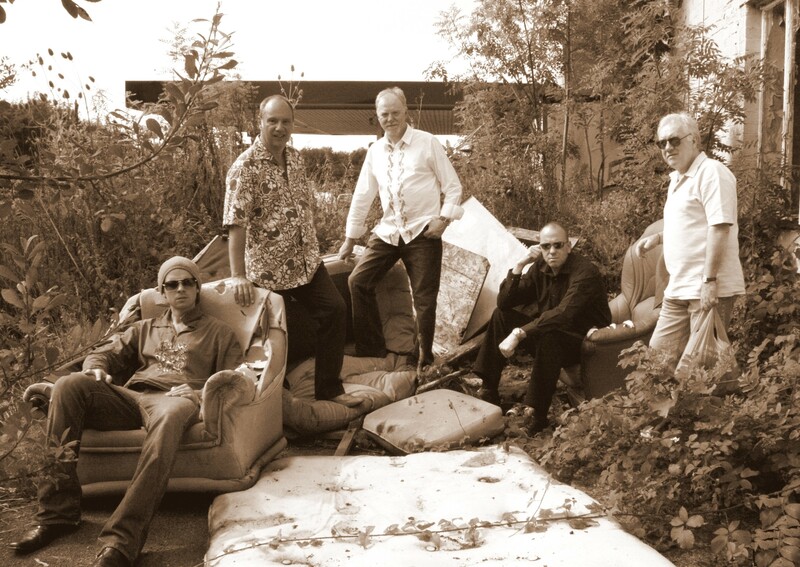 Joe currently performs with the powerful five-piece Celtic-rock band Joe O'Donnell's Shkayla whose most recent album, Celtic Cargo has won rave reviews from top music magazines across Britain, Ireland and Europe. His production and arrangements of his latest single, Noel Nouvelet brings together powerful melodies and rhythms from East and West to produce a joyful sound of celebration - a perfect musical statement of peace and goodwill. Combining the melodies of a traditional French carol and The Coventry Carol, three versions of the song were recorded by a collective of Coventry musicians including members of Shkayla, top bhangra percussionist Juggy Rihal, indie singer Justine Watson and London-based Asian singer Shaheen. All three mixes are available for only £1 per download, offering a chance to make a difference to young people's lives through the power of music - not to mention a tuneful challenge for this year's Christmas Number One slot! Says Joe, 'I'm very keen to support Rainbows Hospice with this project. Music has been my life and I was fascinated to find out how music has been used to help improve the quality of life for the young people in its care - and for their families. 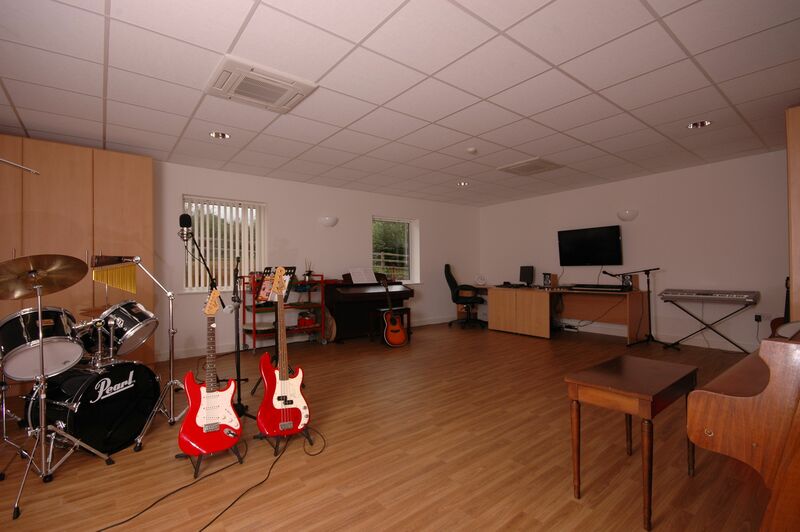 Rainbows Hospice Music Therapist, Neil Eaves says, 'We care for around 250 families every year, and facilities like our music room help our dedicated to team relieve symptoms, improve quality of life, and support parents and siblings. The single is currently being promoted via the social networking site Facebook and all three mixes are available for download on www.joe-odonnell.com. 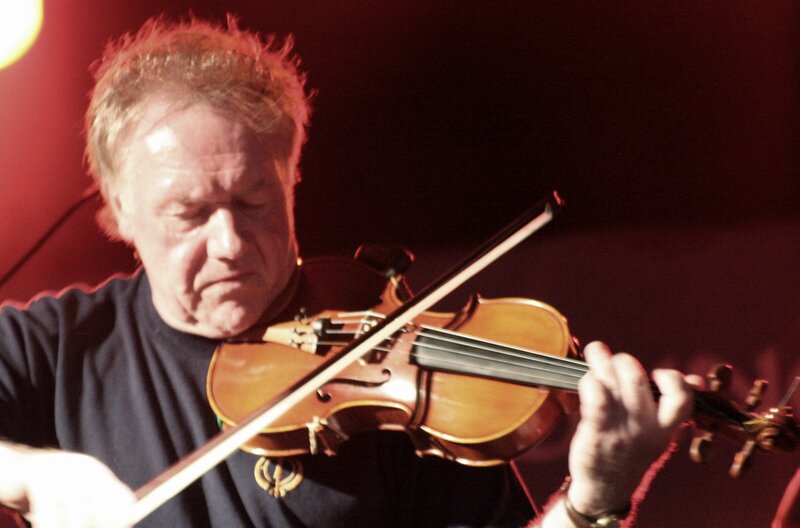 Joe is well-regarded as one of the finest electric fiddle players specialising in Celtic music. His arrangements are best described as Celtic-rock fusion. Click here for website for Joe O'Donnell's Shkayla and follow 'Noel Nouvelet' link to hear all three versions. Click here for website for Rainbows Hospice. For an interview with Joe O'Donnell, please call 02476 275807. For further information about Rainbows Hospice, please call Scott Lea - Marketing and Communications Officer, on 01509 638000 or 07980 901297. For any other information concerning this news item, please call Pete Willow (PCWillow Music Media Support) on 07887 552896. Christmas has come early for violin ace Joe O'Donnell whose new single brings together the traditions of India, Morocco, France and his adopted home city of Coventry. Noel Nouvelet combines the melodies of the Coventry Carol and a traditional French carol and with 90 downloading days to Christmas, Joe is running an unusual promotion on the social networking site Facebook to showcase three different versions of the song. All of them feature members of his band Joe O'Donnell's Shkayla - Martin Barter on keyboards, Si Hayden on guitars, Brendan J Rayner on drums plus bass playing by Adrian Litvinoff and Mark Fulton and guest appearances by Juggy Rihal on tabla and dohl. Joe provides multi-track violin to create a distinctive Asian sound in contrast to his usual folk-rock arrangements of traditional Celtic music. London-based Indian singer Shaheen provides vocals for one version while Coventry's Justine Watson sings on versions two and three which are based on a 'trip-hop' arrangement, one slightly faster than the other. A driving force in Irish folk-rock since the 1970s, Limerick-born Joe has worked with Gary Moore and the late Rory Gallagher. He has explored a range of musical cultures and influences since moving to Coventry in 1998. The superb electric fiddle-player Joe O'Donnell makes an unusual guest appearance on Monday 15th February with an unplugged version of his powerful Celtic fusion band Shkayla. The band is this month's special guest attraction for the popular new acoustic, folk and blues night at The Boat Inn in Newbold-on-Avon. The Limerick-born musician has rocked the Irish and UK music scene since the 70s through his work alongside Rory Gallagher, Gary Moore and Phil Lynott and as a member of rock legends East Of Eden. Joe moved to Coventry in 1998 and has been active in the city's folk scene often promoting live music sessions while working with leading Midlands musicians to establish Shkayla. Named after the Gaelic word for 'stories', the band recently released its long-awaited album, Celtic Cargo which has picked up stunning reviews from Europe's top music publications for its powerful rock and funk rhythms and arrangements of songs and tunes from Ireland, Scotland and Brittany. The 'unplugged' line-up will feature versatile keyboards-player Martin Barter and Coventry guitarist Si Hayden who enjoys a huge reputation in his own right for his impressive fingerpick and flamenco-style playing. The evening is hosted by popular trio, BorderLine Crossing which combines the accomplished guitar arrangements of Dave Cook and Pete Willow with the sensational vocals of former Las Vegas singer, Chele Willow. The music starts at 8.30pm and admission is free although there is a 'jug' collection. Further details from 01788 832608. The full name of Joe's band is Joe O'Donnell's Shkayla. Click here for a high-resolution photo of Joe O'Donnell's Shkayla (8Mb) - left to right: Si Hayden (guitarist), Adrian Litvinoff (bass player), Martin Barter (keyboards player), Brendan J.Rayner (drummer) and Joe O'Donnell. 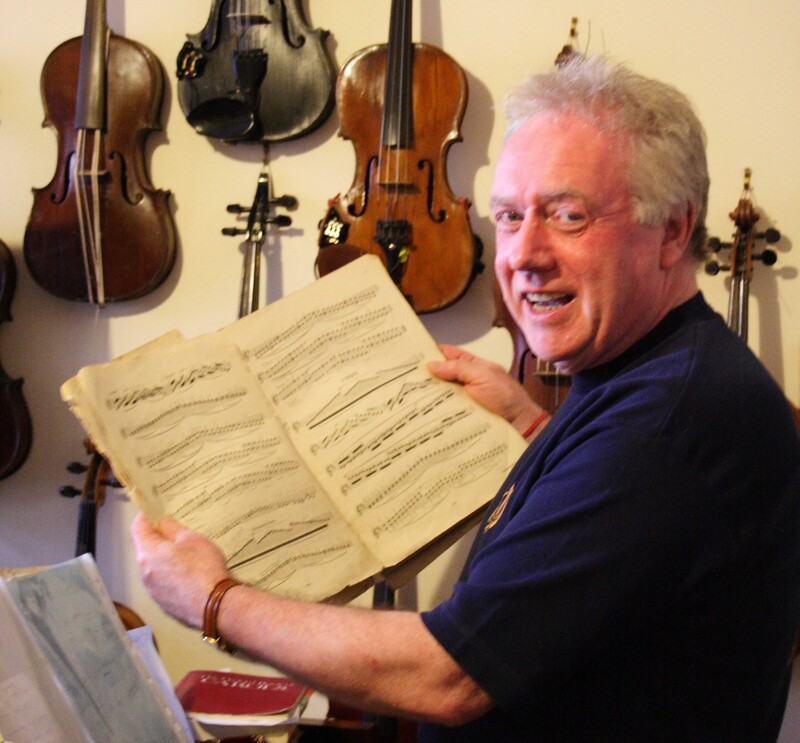 Irish fiddle legend Joe O'Donnell is to release a single, following rave reviews of his most recent album Celtic Cargo. The album, recorded by Joe's Celtic-rock band Shkayla received high praise from such leading music titles as Folk Roots magazine, Irish Times and Rock and Reel magazine. One track in particular, Joe's arrangement of the classic Irish traditional song P Is For Paddy has proved a hit with reviewers and radio stations. Now the Coventry-based musician has remastered the song for release to coincide with the Celtic Strands concert, one of the main events of the Coventry Irish Festival on Saturday 3rd October. Joe O'Donnell's Shkayla will headline the concert which takes place at 7.30pm in the Central Hall, Warwick Lane in Coventry city centre. Born in Limerick, Joe was a leading light in the Irish and UK music scene in the 1970s through his work with Rory Gallagher, Gary Moore, Phil Lynott and former Steeleye Span members Terry and Gaye Woods. Joe was also a member of cult rock band East Of Eden when he replaced their fiddle-player Dave Arbus. He has pulled together some of the most respected musicians on the Midlands music circuit to form the 5-piece line-up of Shkayla, which takes its name from the Gaelic word for 'stories' and performs powerful rock and funk rhythms and arrangements of traditional songs and tunes from Ireland, Scotland and Brittany. Joe O'Donnell says: 'P Is For Paddy is a bizarre love song. The verses described a man's view of how lovers court, but the chorus gives the view of the woman and who she loves the most. The Celtic Strands concert also features performances by the musicians of Coventry Comholtas, Celtica School of Irish Dance and Cork Poets Paul Casey and Billy Ramsell. Tickets on the door are £5 if booked in advance from the Coventry Irish Society on 02476 256629. 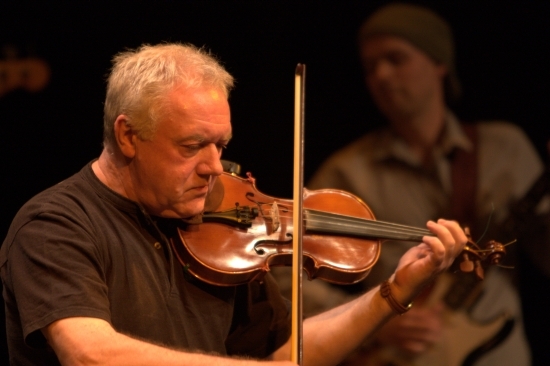 Experience the captivating sounds of Celtic violin wizard Joe O'Donnell and his band Shkayla in a special evening of home-grown entertainment at Coventry's Belgrade Theatre. Joe and his band will be performing alongside invited guest artistes in the unplugged, cabaret style atmosphere of B2, the exceptional 250-capacity studio theatre and an ideal location to invoke the spirit of Celtic tradition with the dynamic groove of modern rock and jazz. The show starts at 8pm. Doors open at 7.30 and tickets are £8 (unwaged £6). They can be booked on 024 7655 3055 or online on www.belgrade.co.uk. Limerick-born Joe moved to Coventry in 1998 and has previously worked with former Steeleye Span members, Terry and Gay Woods, dynamic fiddle-driven rock band East of Eden and the late, great, Irish bluesman Rory Gallagher. Currently showcasing the latest Shkayla album 'Celtic Cargo', Joe will be describing the stories featured in his own material (Shkayla is Gaelic for stories) in his own inimitable way. The show also features re-jigged versions of Shkayla classics with internationally respected Indian recording and touring star Juggy Rihal, who brings his unique musical perspective to several tunes. The Shkayla performance will develop from a set of acoustic tunes to the high-energy full-on electric sound for which they are celebrated. A special highlight will be a performance of the forthcoming single 'P Is For Paddy', which has become a favourite with live audiences and radio stations across the UK. The evening's guests are Coventry's popular Wes Finch & The Dirty Band, the new outfit 'Apesmirk' from Monkeys Grin members Neil Hunter, Clive Layton and Vicki Farmer, and acclaimed new acoustic trio, Smoke's Welcome featuring Pete Willow (vocals/guitar), Chele Willow (vocals) and Dave Cook (lead and slide guitars). 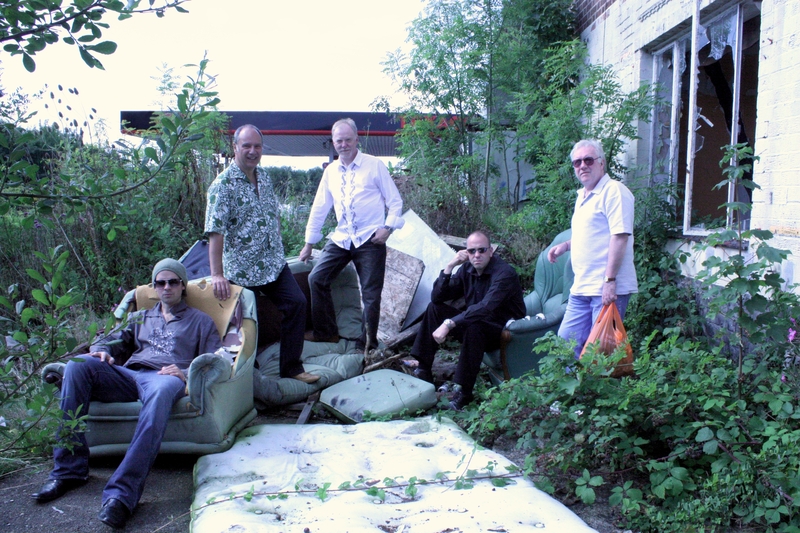 Wes Finch & The Dirty Band are an evolving collective of accomplished local musicians who share a love of playing music that gives plenty of nods to country, blues, swing and rock 'n' roll while lyrically retaining a definite sense of Englishness. The group formed over two years ago around main singer/songwriter Wes Finch and are a dirty, sweaty, upbeat and joyful band to witness perform. The DB will showcase new songs from Wes's forthcoming 'Asthill Grove' CD, recorded with local producer Paul Harty. Dirty Band members Joe, Andy and George are currently touring the country with acts on the Coventry Tin Angel label. It's been a decade since the release of Passing of the Years by Coventry trio Vicky Farmer, Clive Layton and Neil Hunter, known more or less collectively as Monkeys Grin. Evolution being what it is, many variations have materialised down the last few years, and here we arrive at yet another, now presiding under the moniker Apesmirk. Expect laid-back, jazzy and damn clever vibes. Smoke's Welcome is the new name for a trio that's building up a strong following on the local folk circuit. Writer of superb songs, Pete Willow and lead and slide guitar wizard Dave Cook are joined by Chele Willow. Chele comes from Las Vegas and has a great singing voice adding a magic touch of blues and soul to their home-grown acoustic style. Coventry-based electric fiddle legend Joe O'Donnell appears in the Midlands largest arts centre, the Warwick Arts Centre on Saturday 7 March in a concert that also features Warwick blues-jazz singer Kel Elliott. Joe will be performing in the Studio with the latest line-up of his Celtic-rock band Shkayla featuring new recruit bass-player Adrian Litvinoff. The music starts 7.45pm and tickets for the show are just £6 on the door. Tel 02476 524524. The highly acclaimed fiddle and mandolin-player, Joe O'Donnell has built up a worldwide fan base over the years and has made a big personal impact on the Coventry music scene since moving to the city ten years ago, by encouraging local bands and supporting music sessions in the area. A leading light in the Irish and UK folk rock and alternative scene in the 1970s, Joe worked with late guitar legend Rory Gallagher, Gary Moore, Phil Lynott and former Steeleye Span members Terry and Gaye Woods. Joe was also a member of cult rock band East Of Eden when he replaced their fiddle-player Dave Arbus. He has pulled together some of the most respected musicians on the Midlands music circuit to form the line-up of Shkayla. Named after the Gaelic word for 'stories', their recently released album, Celtic Cargo has picked up excellent reviews from leading music magazines in the UK and Ireland. It features eleven tracks of tunes and songs from Ireland, Scotland and Brittany, performed with powerful rock and funk rhythms and arrangements. Shkayla's keyboards-player Martin Barter and drummer Brendan J.Rayner are members of leading jazz band The Big Easy. Coventry guitarist Si Hayden has a huge reputation in his own right for his impressive fingerpick and flamenco-style playing, and Adrian Litvinoff has toured extensively with jazz line-up, Interplay and blues outfit SugarDaddies. The audience of the National Forest Folk Club in Moira will be rocking to the Celtic fusion sound of Joe O'Donnell's Shkayla on Friday, January 9th. Highly acclaimed electric fiddle legend Joe O'Donnell has built up a worldwide fan base over the years. He also sings in English and Gaelic and plays some outstanding mandolin. The Limerick-born musician was a leading light in the Irish and UK music scene in the 1970s through his work with late guitar legend Rory Gallagher, Gary Moore, Phil Lynott and former Steeleye Span members Terry and Gaye Woods. Joe was also a member of cult rock band East Of Eden when he replaced their fiddle-player Dave Arbus. Now based in Coventry, Joe has pulled together some of the most respected musicians on the Midlands music circuit to form the line-up of Shkayla. Named after the Gaelic word for 'stories', their recently released album, Celtic Cargo has picked up excellent reviews from leading music magazines in the UK and Ireland. It features eleven tracks of tunes and songs from Ireland, Scotland and Brittany, performed with powerful rock and funk rhythms and arrangements. Shkayla's keyboards-player Martin Barter and drummer Brendan J.Rayner are members of the Birmingham-based jazz band The Big Easy. Coventry guitarist Si Hayden has a huge reputation in his own right for his impressive fingerpick and flamenco-style playing, and bass-player Mark Fulton has toured and recorded extensively with top name rock and jazz line-ups. The National Forest Folk Club meets on the second Friday of each month at the Moira Miners Welfare Club, Bath Lane, Moira, nr Ashby de la Zouche. The music starts at 8.30pm and tickets can be booked on 01676 540219. Click here for photo of Joe O'Donnell. Click here for photo of Joe O'Donnell's Shkayla - left to right: Joe O'Donnell, Brendan J.Rayner, Si Hayden, Martin Barter, Mark Fulton. Click here for website for Joe O'Donnell's Shkayla and follow links for background and audio clips. National Forest Folk club organiser, Mike Scott can be contacted on 01676 540219 or 07881 558158. Electric fiddle ace Joe O'Donnell and his band Shkayla are to top the bill for a major fundraising concert in Coventry to help combat global poverty. Also featuring Sean Cannon of chart-topping Irish folk band The Dubliners, the event is staged at The Maudsley, Allesley Old Road, on the evening of Sunday 23rd November. 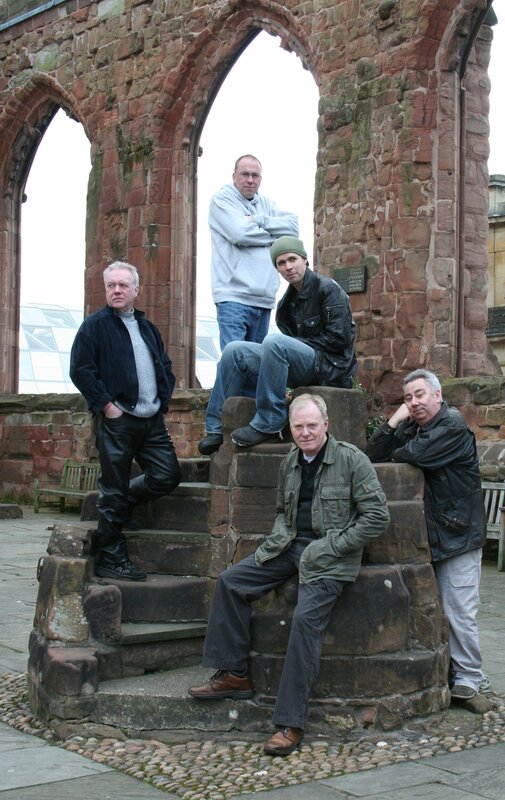 This will be Joe's first Coventry gig since he and his band launched their hugely successful Celtic Cargo album last Spring. Fronted by Joe's world-class expertise on fiddle and mandolin, the band's powerful Celtic fusion sound has already won them rave reviews in Britain's Folk Roots and Fiddle On magazines and the Dublin-based Irish Music Magazine. The Shkayla line-up includes some of the most respected musicians on the Midlands music circuit. Keyboards-player Martin Barter and drummer Brendan J.Rayner are members of leading jazz band The Big Easy. Coventry guitarist Si Hayden has a huge reputation in his own right for his impressive fingerpick and flamenco-style playing, and bass-player Mark Fulton has toured and recorded extensively with top name rock and jazz line-ups. Organised by Warwickshire musician, Richard 'Doc' Rider, the concert will raise funds for the charity, Engineers Against Poverty, established for over ten years to support development projects and education in the world's poorest countries. Richard and his son, Steven are drawing attention to the work of the charity by talking part in a sponsored trek in December to the peak of Mount Kilimanjaro in Tanzania. Doors open at 7.30pm for an 8pm start. The evening also features music from Coventry singer-songwriter Kristy Gallacher, guitar and harmonica trio Little Mountain, fine performers of traditional songs and tunes Dark Island, and popular guitar and vocal duo Pete Willow and Dave Cook. The show will be compered by singer, multi-instrumentalist and Dark Island member Bob Brooker. Admission is £3. There will also be a big prize raffle plus an auction for a Turkish holiday. Further details are available from Richard Rider on 01788 833453. For an interview with Richard Rider, or any further information, call 01788 833453 or PCWillow on 01788 832608 / 07887 552896.